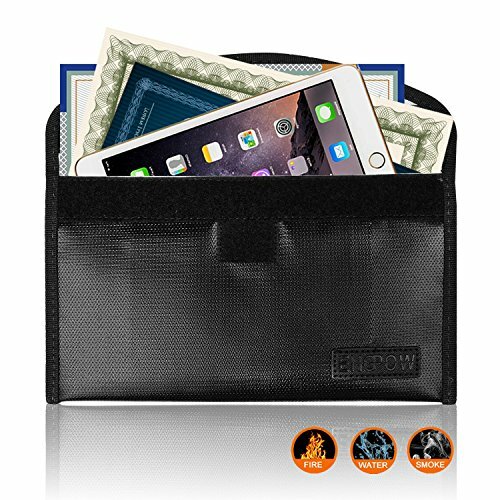 【Can Make You More Peace Of Mind 】This fireproof money bag protects your documents & files including legal contracts, passports, licenses, USBs disks and CDs deeds, certificates, coins, cash, autographs, letters, heirlooms, precious photos, money and more. 【Two Layers Of Fireproof Protection 】Made of iquid silicon coated fiberglass with heat blocking aluminum foil inside, . our fireproof envelope is also highly water resistant to keep your items safe no matter what. Smaller bag but seems like it is made of great materials.